Luxury 3 Bed 3 Bath semi-detached Villa with roof terrace. 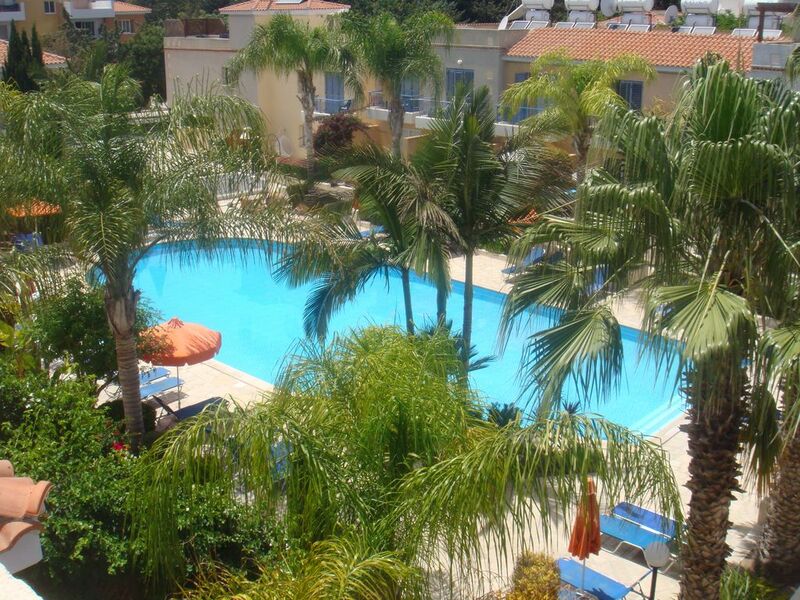 This fully furnished villa is situated in a pleasant residential area of Kato Paphos (Universal area). The Villa is within walking distance of both the old harbor and the shopping and entertainment area. Finished to a high standard, the villa benefits from a large private patio area with shaded decking to the side of the property, it also has a south-facing roof terrace, this has a table with seating for 6. The three bedrooms all have fitted wardrobes, bedroom 1 is a double with en suites and balcony, bedroom 2 & 3 are twins (one with balcony). There is a family bathroom plus a downstairs shower room. All of the bedrooms along with downstairs living area are air-conditioned plus ceiling fans for added comfort. Lounge comprises two sofas. TV, Sky programs,WiFi, Xbox for game and films a selection of DVD's, CD's and games for your use. Dining area has a table with seating for 6. Fitted kitchen has a hob, cooker, microwave, large fridge freezer & washing machine. Patio doors lead to a large communal pool. Large patio and shaded decking area.